All Events planning was founded on a strong culinary background. Sarah Rosario started her career as a Puerto Rico private chef after earning her culinary and hospitality degree at the University of Mayaguez, Puerto Rico. Food is her passion and Sarah is focused on creating interesting and savory meals for her clients. 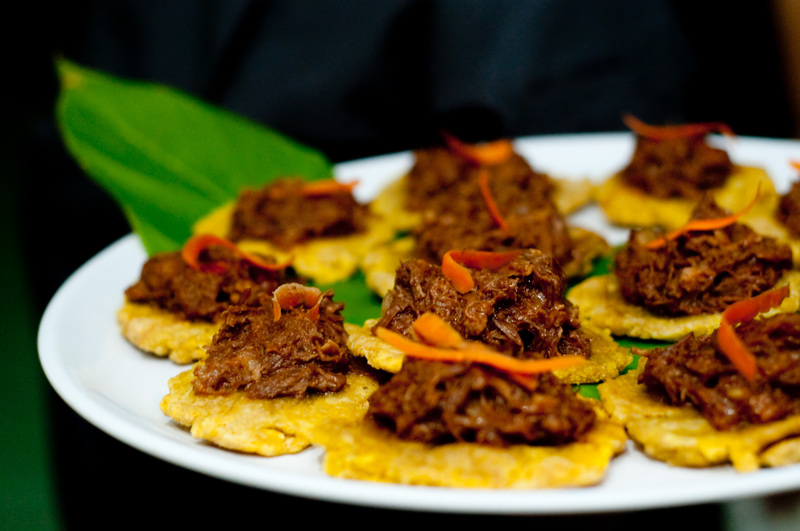 Sarah’s cuisine has a foundation in traditional Puerto Rican fare, with a Caribbean flair. Her creations are modern and creative, but always tasty! Breakfast, lunch or dinner – casual or five star – Chef Rosario can accommodation nearly all your culinary desires. Vegetarian, vegan and gluten free menus available upon request. All Event can design a night with a private chef in your Rincon vacation rental or villa with a special menu created around the budget and requests of your group. 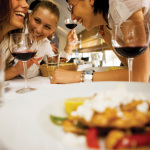 Sarah’s personal chef and catering menus are flexible and can accommodate groups from 2 – 25. 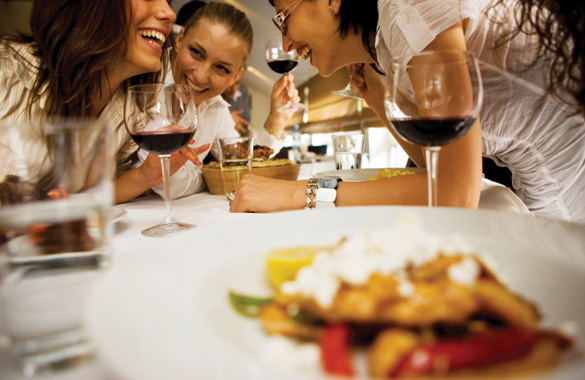 For larger groups, ask about catering options with an All Events endorsed catering company. Custom menus designed to fit your event and budget. Discounts available for multiple meals/days of service – just ask us! Fresh and tasty breakfast services, continental or hot. Drop off, buffet or plated service available. For any size brunch or breakfast up to 50 people. Custom Caribbean dinner service. Buffet style or plated with optional servers and wine pairings. Groups from 2 – 50 people. Menu designed per your request. Lunch on the go or poolside at your villa. Choose from pre-packaged bag lunches delivered fresh to your villa or hot chef service served how you like it. 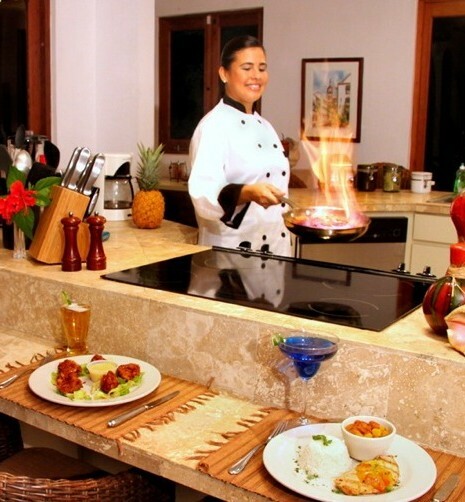 Having a personal chef cook for you during a vacation in Puerto Rico is a luxury that almost everyone can afford. Whether for one special night, or for a week’s worth of pampering, All Events private chef services will make you feel like a movie star. Stay out of the kitchen and spend more time on the beach when you contract a personal chef by All Events. 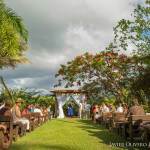 All Events PR provides small event (under 50 people) and wedding food services in Rincon Puerto Rico and the surrounding areas. 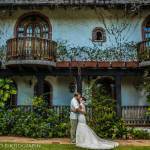 If you are looking for a reliable and quality private chef for your small destination wedding or corporate event in Puerto Rico, All Events has the answer. President of All Events, Sarah Rosario, has a strong culinary background, with a degree in Hospitality and Culinary Arts from the University of Mayaguez Puerto Rico. 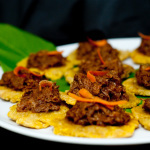 She has been creating amazing meals featuring Caribbean and Latin fusion as well as traditional Puerto Rican fare. Sarah will work with you to create a menu that is within your budget and includes all of your favorite creations. She will create a creative and unique menu that is presented beautifully and tastefully.